Ever since Nebula and I first started growing our own cannabis at home, it’s been our mission to make sure we know what works and what’s a waste of money. After testing so many products, we’ve become attached to certain ones that have proved themselves useful. It smells great, kills many types of pests and totally eradicates WPM in one treatment. It’s a one-stop problem-solver that we’ve been using for over 5 years! Suddenly, we couldn’t find it anywhere. Amazon.com stopped carrying it, and we couldn’t find hydro stores in our city with even a single bottle. 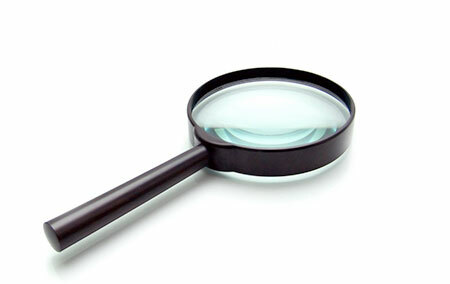 This gave us the idea to do a little investigating to see if we could find out what’s going on. If you’re unfamiliar with the product, SM-90 is a supplement made by the Nutrilife company. The main ingredient in SM-90 is a “Sulphonated Canola Oil Solution” and it’s sold as a “multi-purpose wetting agent” but it ends up being used for pretty much everything but that. We mostly use SM-90 for combating White Powdery Mildew, but we’ve found it’s also great for Root Rot, Aphids, Thrips, Whiteflies, and Spider mites. Store #1: We cannot say for sure if it will come back or not. There was an issue with labeling is all we were told. As far as if that means the wrong label, incorrect label, or not listing ingredients, we do not know exactly. However many customers are in need and are asking for this product so we are trying to do everything we can to get it back on the shelves as well! Store #2: I believe they are reformulating and bringing it back to the market as we get into 2019. They have not told us a date for restock yet. But we are actively looking for it to come back on the market again. Store #3: I believe they’re in the process of re-labeling – there is a stop sale on it nationwide. Store #4: Thanks for your inquiry. As of right now, there is a stop sale on SM-90 and [it] is unavailable. If you happen to find some, it’s the last of the inventory and is no longer available. Store #5: They have a labeling issue preventing sale, I don’t believe anything is wrong with the product. At first, it was only in CA, but now it seems hard to get anywhere. The main issue is probably that they were making anti-insect anti-fungal claims but not registering the product as a pesticide. So, it seems that most stores that we called agree. SM-90 definitely has been pulled from shelves and it seems the label got it kicked out of stores. Just to be certain, we tried emailing Nutrilife and got no response. So, we called them and got the story straight from the source. The people at Nutrilife were actually very nice and were upfront about what’s going on. Here are the important takeaways from my call with the people who actually make SM-90. SM-90 has indeed been pulled from shelves. California was the first to pull it from shelves and other states followed soon after. The U.S. Environmental Protection Agency (the EPA) placed a “Stop Sale” order on it, which directs the company to “immediately stop the sale, use, or removal” of SM-90. They’re working hard to get it back on shelves, but it could take a year over even more! If you find any SM-90 on store shelves, that’s the last of what they have and they won’t be restocking for until 2019…hopefully. SM-90 was Nutrilife’s best-selling product, so they’re doing everything they can to get it back on shelves quickly. A quick perusal of a few EPA Stop Orders (we couldn’t find Nutrilifes) indicates that it might be a labeling issue just like the hydro stores say. 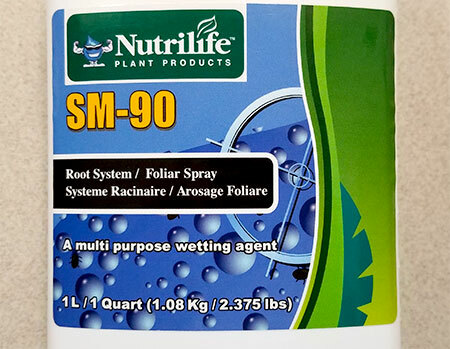 SM-90 is marketed as a “multi-purpose wetting agent” which would normally mean it isn’t regulated by the U.S. Federal Insecticide, Fungicide, and Rodenticide Act (FIFRA). However, there have been a lot of crackdowns on companies as weed gains legitimacy, and there’s a section of the FIFRA (section 14) that allows the EPA to place penalties on those “Selling a misbranded pesticide”. We found a document from the Washington State Department of Agriculture that shows SM-90 was placed on Stop/Sale in July of 2016 for containing an “undeclared pesticide ingredient” (Salicylic acid) so we’re guessing that’s why they got in trouble. I would guess that part of why it will take them so long to get back on shelves is that they might have to register as a pesticide which means a lot of legal red tape. Either way, we’re still fans of their product and we hope they get it worked out soon! 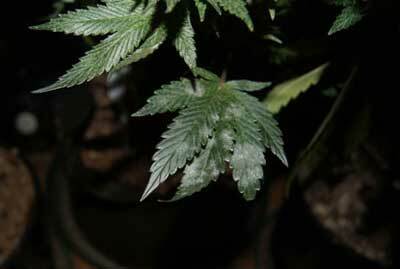 If you’re looking for a replacement for SM-90, check out our page on Pesticides That are Safe Up to Harvest!